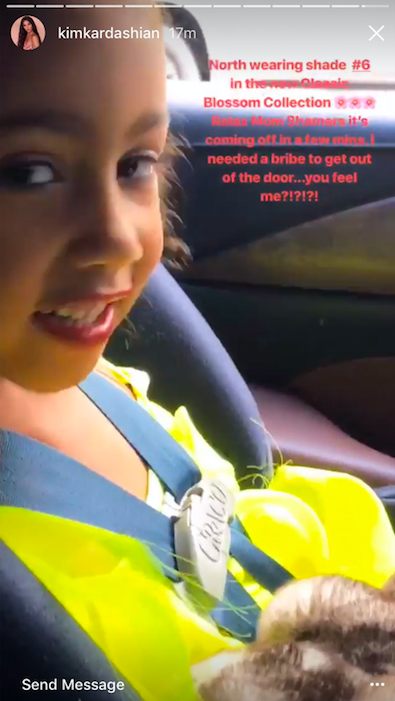 "I needed a bribe to get out the door. You feel me?!" If there's one thing we know about Kim Kardashian it's that people have ~opinions~ on just about everything she does. But people are especially opinionated over the decisions she makes as a parent. 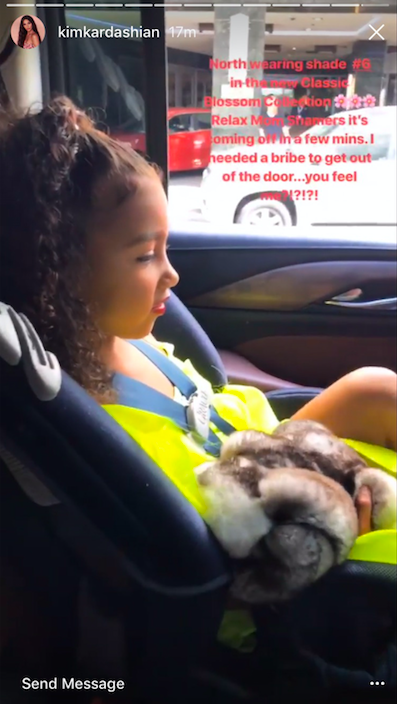 Just a couple of months ago, Kim was forced to defend herself after she posted photos of North West with straightened hair. But it appears that Kim has now reached the stage where she is anticipating mom-shaming, and has taken to defending herself before the nasty comments hit. Yesterday, Kim was gearing up to launch her new range of blossom-inspired lipsticks. 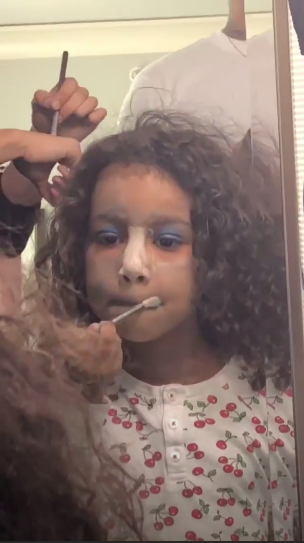 And while she got ready for an appearance, North decided to test out some of her mom's products and proved herself to be quite the makeup artist. 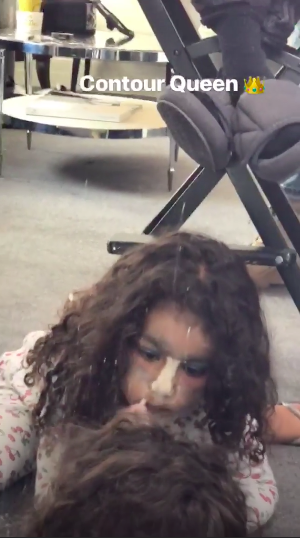 And Kim then let North continue to wear one of her new lipsticks outside. She shared a couple of videos on Instagram alongside a caption which anticipated shaming comments and shut them down immediately. The caption read: "North wearing #6 in the new Classic Blossom Collection. Relax mom shamers, it's coming off in a few minutes. I needed a bribe to get out the door. You feel me?!" It's not the first time Kim has done this. Just a couple of weeks ago she shared this adorable photo of her other two children, Saint and Chicago, and specified in the caption that she was supporting Chicago before anyone could criticise the photo.